At its most basic level, the $26 billion craft beer industry is powered by five-gallon water coolers, stainless steel kitchen pots, malt, hops, yeast, and water. 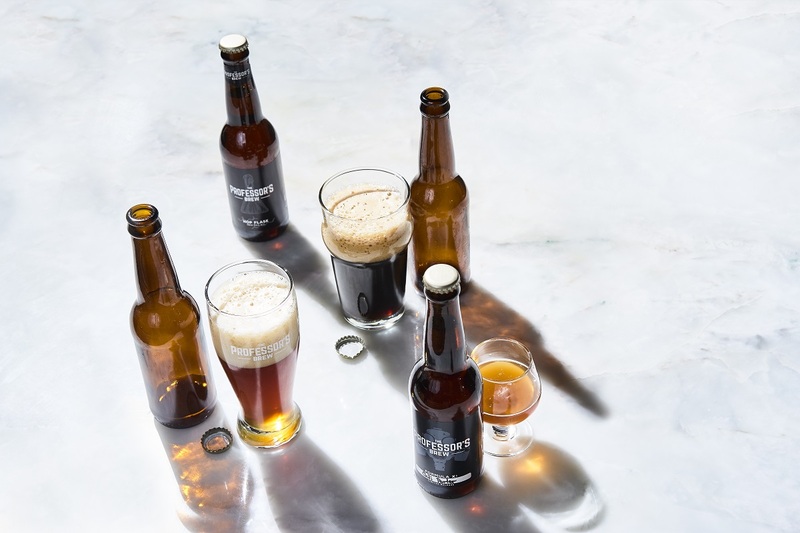 These elements—housed in homes and brought together by so-called homebrewers—make up the kind of beer meant to be everything its commercial counterparts are not. Whereas industrial beers are watery, verging on bland, and possess only the slightest hint of some vague flavor, craft beers are richer and bolder, both in flavor and character. And this is despite the fact that practically the same ingredients are used in both types of beers. It’s not meant to be a conundrum—the differences simply have less to do with composition and more with process. Following a mostly scientific blueprint and grounded in a DIY ethic, homebrewing is essentially an exercise in experimental gastronomy. Experimentation naturally lends itself to creativity, and this is where the appeal of craft beer lies: You can choose to use, say, less hops and more malt, and vice versa; you can even add ingredients like chocolate or cucumbers. We got to talk to a homebrewer to walk us through the basics of craft beer: the differences between homebrewing and microbrewing, how a homebrewer can expand into the ever-growing local craft beer market; and most importantly, how craft beer is made. Carlo Ng was never really a fan of beer. 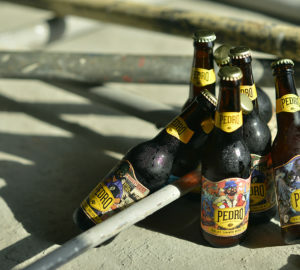 Commercial beers were one-dimensional and nothing far from off-putting, but the drink nevertheless made an impression on him due to some random, almost insignificant sighting: “When I would go to supermarkets and I would see the beer section, I noticed that there were so many different kinds [of beers]. I thought, ‘Didn’t they all taste the same?’ So I decided to research about beers and then I started to see the science behind it. I learned that you can already get so much from one ingredient,” he says. 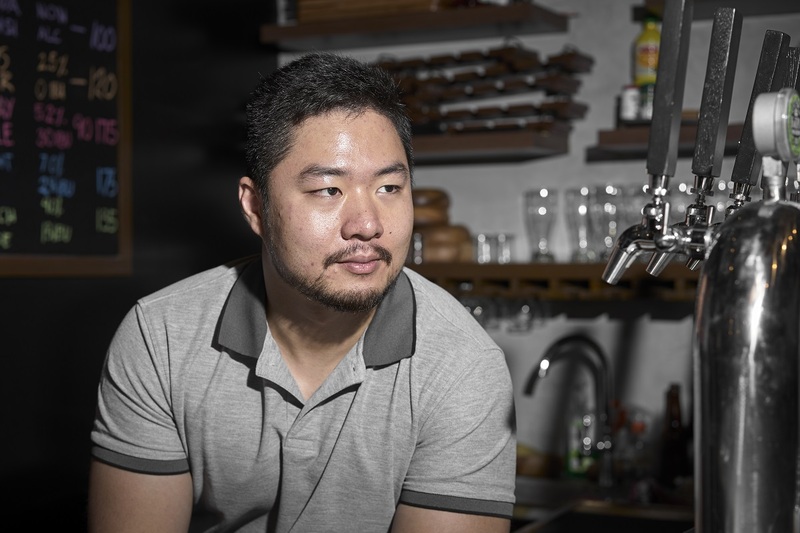 An assistant professor of chemistry at De La Salle University, Ng was initially “in it for the science,” brewing beers at his house to observe the fermentation process and to see how adding ingredients like chili or oysters would react with the beer’s base ingredients. “To enter the market, it’s a matter of getting your own identity—brewing what you want to brew, what you would want to drink. And from there just build a network, get to know the people in the industry, know which places need craft beer suppliers,” Ng says. This was back in 2015 when the local craft beer scene wasn’t as saturated as it is now, and when experimental beers like Ng’s have yet to be introduced to the market. 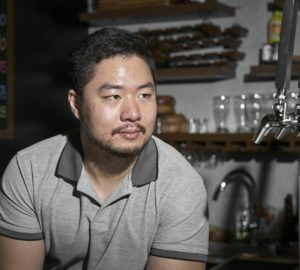 It took two more years of tinkering with different ingredients and techniques and sharing his brews to friends and family until Ng decided to turn his hobby into a commercial venture. 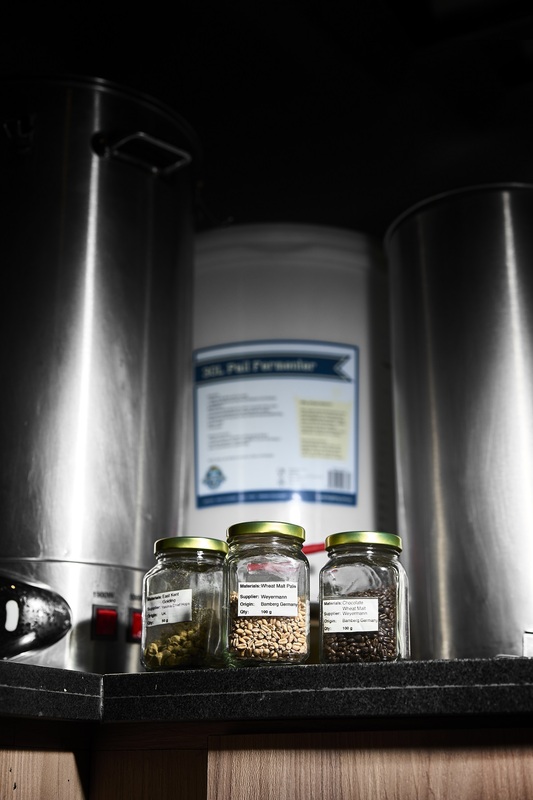 “People liked the beers and so I thought why not just commercialize it?” Last year, Ng launched The Professor’s Brew, a line of homebrewed experimental beers that follows the traditional brewing method. Some of the flavors he’s experimented with include black rice, kalamansi, carrots, coriander seeds, rosemary, coffee, and Chinese tea. “Any ingredient you can think of, pwedeng gawing beer,” he says. This is typically how homebrewers enter the local craft beer market. They usually start out as fans of the drink, brewing at home to develop a more in-depth perspective of the deceivingly simple beverage, and all with the added advantage of getting to drink as much free beer as you want. The next step is to share your brews and, if public feedback allows it, you’ll be confident enough to scale up production and seek out distributors. While, again, the local craft beer market is a bit saturated and, according to Ng, “growing at a pace in which a lot of people didn’t expect,” it’s still one of the less insular segments of the beverage industry—mostly because of the accessibility of the practice (homebrewing requires minimal capital, basic kitchen equipment, and ingredients) and the support and enthusiasm of the community that practices it. There are brew events, craft beer festivals, and a wealth of online resources for aspiring brewers. The first step to getting into homebrewing is to spell out some distinctions. For one, how is homebrewing different from microbrewing? 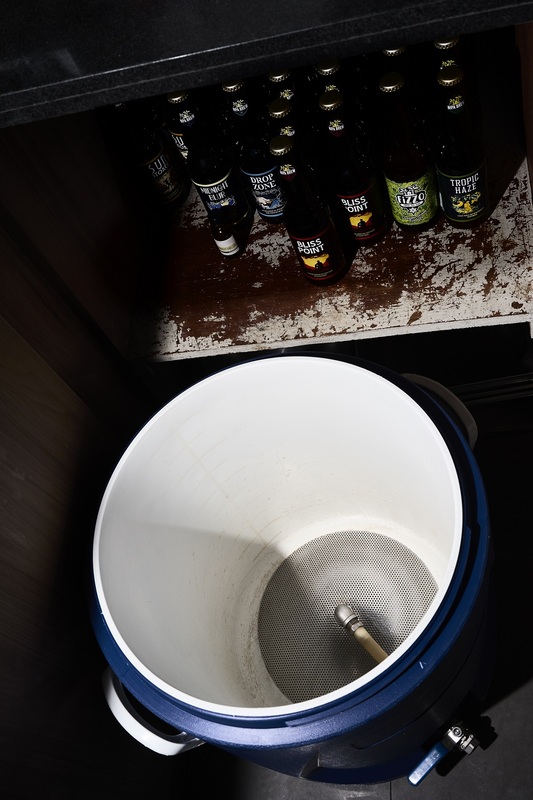 “For homebrewing, it’s a very small system. You have few pieces of equipment. From the homebrewers I know, they push to a maximum of 50 liters. If you get to 100 liters, usually that’s already a big amount for a homebrew setup. While for microbreweries you can reach up to 250, 500, 1,000 liters. There’s really no technical definition,” Ng explains. It’s mostly the scale of production that sets the two brewing approaches apart, as the quality of both beers are generally the same. “The setup really doesn’t affect the flavor. You’ll only get different flavors based on who makes the beers. For me, the difference lies in the degree of experimentation. There’s more experimentation in smaller batches because if it doesn’t end up good, it’s okay because it’s just a small batch. 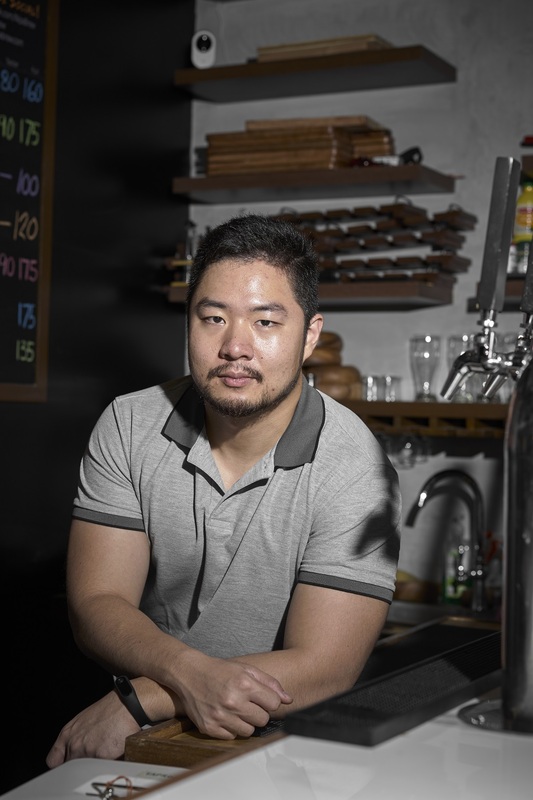 But for a bigger one, you have to make sure that it tastes good because you’re going to waste a lot of beer if it doesn’t work out,” Ng says. The traditional brewing process is composed of five general steps: milling, mashing, boiling, fermenting, and conditioning. We got Ng to give us a fairly detailed rundown of each step.